Title: Nantucket. The New Haven Railroad / Nason. Medium: 1 photomechanical print (poster) : halftone, color ; 107 x 71 cm. 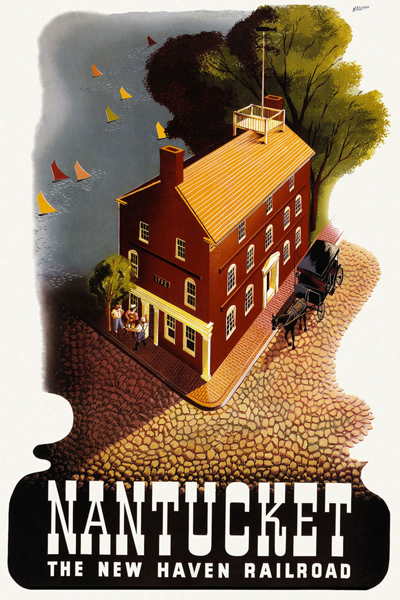 Summary: Poster showing a carriage on a cobblestone street beside a brick house marked 1772, with colorful sailboats in the harbor beyond.